MINISTER of Environment, Tourism and Hospitality Industry, Prisca Mupfumira, has implored the world to visit Zimbabwe since it is a safe destination for tourism. She made the remarks during the launch of the Zim-China cultural relation initiative, Tour Africa New Horizon championed by Touch Road International Holdings Group of China. “The initiatives championed by China seek to provide new and old projects covering an expansive geographical score and it also includes efforts to strengthen hard, soft and cultural ties. “This will see us receiving monthly 350 Chinese tourists every month from March 2019 and this project is in collaboration with Ethiopian Airlines which is providing aircrafts. “The delegation will spend time in Zimbabwe and the tourists will enjoy our local attractions. “Part of the delegation will include investors and the interaction seeks to establish cultural ties with the East hence the cultural concept,” she said. 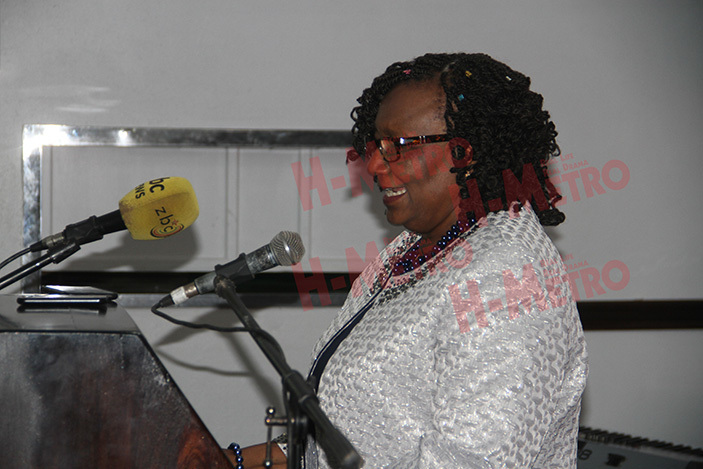 Minister Mupfumira said the tourism industry needs to gear up to accommodate the busy schedule ahead. “Our trust is also raising awareness of the current facilities that exists for tourists both domestic and foreign to enjoy. “This therefore requires our tourism industry players to gear up and enhance their products to accommodate tourists. “Our tourists must experience memorable moments to have a reason to return to Zimbabwe,” she said. The launch of Tour Africa comes at a time as Government is engaging the world to come and invest in the country. “We have made strides that are represented by ambassadors and my Ministry after consultations that is going to appoint tourism ambassadors to promote tourism throughout the world. “We have to upgrade from all whether to friends to comprehensive partners and this important visit emanates from an MOU signed between my ministry and Touch Road International Holdings Group in China during your first State visit in May 2018,” she said. Such calls comes at a time Zimbabwe was voted number three on Lonely Planet’s list of the best countries to visit in 2019. Zimbabwe ranks number three while Sri Lanka comes first followed by Germany.